© U.S. Games Systems, Inc. Artist Timothy Lantz defines the title of his tarot deck, Archeon, as having a relationship with archeology: Those who consult the Archeon Tarot sift through the layers of the cards, thus finding a way to harvest order and meaning from chaotic or seemingly unrelated events of life. 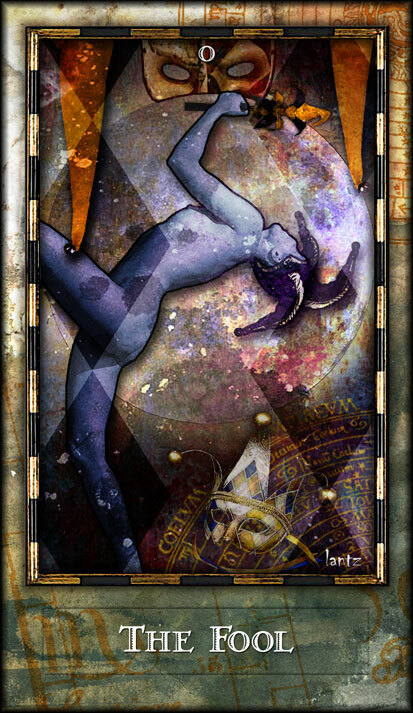 The cards of the Archeon Tarot are a wonderful blend of dark, gothic, carnivale mixed with elements of the mystical and fantastic. Don't let the darkness of the deck's imagery fool you, however. Within each card there is a strong sense of light and beauty. Each card's image contains dazzling backgrounds and characters expressing realistic emotions; each layer thick with symbolism.